Annalena and I went back-to-school shopping at the Holyoke Mall. High school these days is all about skinny jeans. We popped into Borders where I picked up the September issue of Saveur that has a wonderful cover story about watermelon traditions from around the world. It got me thinking, again, about Jello (which I know is technically spelled Jell-O, but I can’t bring myself to be that corporate here) and I told her that I want to write a story about Mexican Jello. She said that she remembers Mexican Jello from nursery school in Pátzcuaro when she was two years old. Everyday at lunch they’d eat gelatina shaped liked the Virgin of Guadalupe. She remembers guessing each day what color it would be. 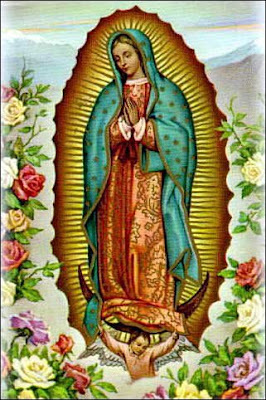 The video below doesn’t show any Virgin of Guadalupe Jello, but it does illustrate a bit of the wonder that is Mexican gelatina artistica.